We are looking for talented artists and musicians to join weeklong exclusivities festivities including workshops, roundtables & performances by you! Centered around a week-long event in Hawaii, POW! WOW! has grown into a global network of artists and organizes gallery shows, lecture series, schools for art and music, mural projects, a large creative space named Lana Lane Studios, concerts, and live art installations across the globe. The central event takes place during Valentine’s Day week in February in the Kaka’ako district of Honolulu, and brings over a hundred international and local artist together to create murals and other forms of art. View highlights from the 2014 School of Music here. The festival is now expanding to Long Beach in June! Presented by Flexfit and Pow Wow, partnering with media sponsor, mydiveo.com, thePOW! WOW! SCHOOL OF MUSIC Long Beach program is focused on music education for Long Beach musical students. The program originated in Hawaii, just celebrating their 3rd year last February 2015. POW! WOW! 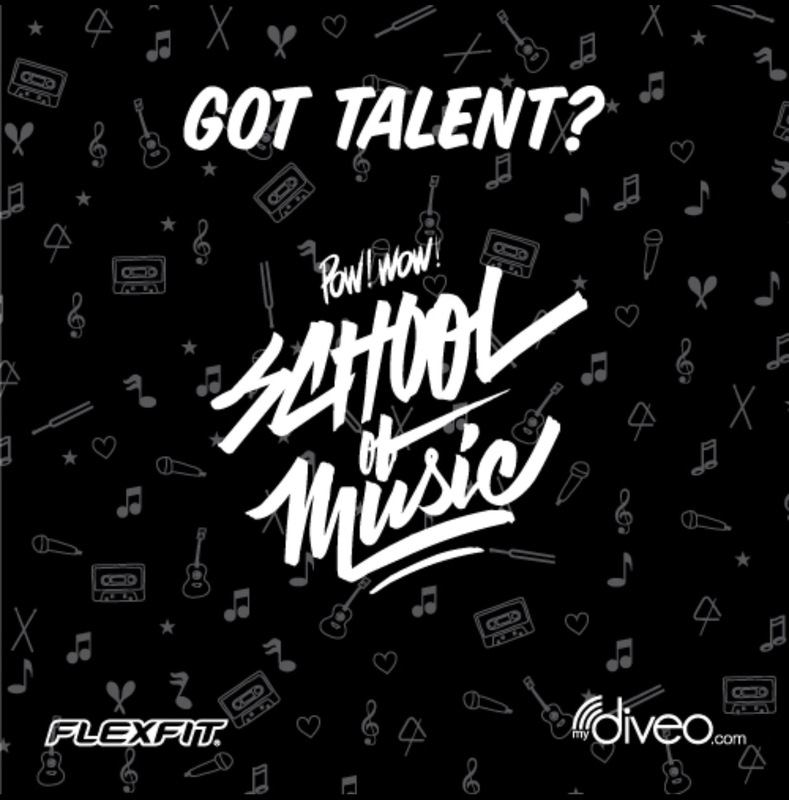 SCHOOL OF MUSIC will provide unique learning opportunities for a select group of local musicians between the ages of 18-22. These musicians will be able to participate in roundtables on composition, musicianship, performance and the music business with local and national musicians, teachers and music industry professionals. The students will also have the opportunity to collaborate with each other and create original music and perform atPOW! WOW! Long Beach’s closing night festivities. -Must be 18+ with personal transportation and local to LA/Long Beach. instagram or another video platform. 4.You will be notified via DM on or before 6/10 if you are chosen to be apart of this memorable experience! mydiveo™ is a global talent discovery platform fostering creative collaborations and new connections between artists, music lovers, music industry professionals and brands. mydiveo makes it easy to find and connect with local talent worldwide and enables artists to engage with their community. mydiveo is a privately held company headquartered in the entertainment capital of the world – Hollywood. For more information, visit www.mydiveo.com.